Welcome to our first ever Holistic Spaces Holiday Gift Guide! I really love gift-giving all year round, so the holidays are a fun time for me! It's not about how much you spend, but the thought that counts. I've included items at all different price points and even some DIY ideas. And of course each of the gift ideas can assist your loved ones in creating a holistic space and lifestyle, so that they can be happier and feel supported in their lives. Yes, of course I just had to include some of my own products. In case you didn't know, I wrote a book and I have signed copies of my book available on the Holistic Spaces store. 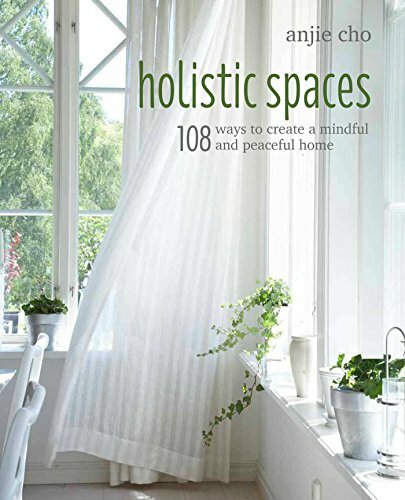 This book is a great introduction to feng shui and holistic design principles. Feng Shui can change your life -- but learning how to use it can feel overwhelming. Architect and feng shui practitioner, Anjie Cho clears the clutter and shows you how to apply feng shui and green design principles to support and enhance your life. From the bedroom to the home office, and from furniture placement to the use of color, these simple, straightforward tips will transform your home and workplace to improve the flow of energy through your life. The Moon Glass set was designed by Seoul's Tale Ltd (my peeps! the Koreans!). The moon is yin and is related to the feminine principle, intuition and introspection. We look to the moon often in feng shui to gain insight on what's happening on the inside. This design is such a delightful and graceful reminder of all the phases of the moon. "Fill it up with a nice rice wine (or any other beverage of your choice) and watch as each sip you take brings the moon from full to three-quarters, half, and crescent. The trick is achieved by a slope inside of the cup and the sleek black glaze creates a fantastic contrast with opaque or cloudy beverages." Sashiko, "little stabs," is traditional Japanese embroidery and my newest obsession. While browsing Etsy for some sashiko supplies, I stumbled upon these beautiful little gems: Handmade sashiko cloths hand made by a Japanese grandmother! Nina explains: "This is made by my grandma who is 97 years old now :) She is quite active and loves to embroider. Some stitches might be jumped but she is sticking with love. We would be happy if you feel love from Japan :)"
How cute, right?!?! I snatched one up right away! The brainchild of "redesigner," Kelly Anderson, everything on the Refreshed Designs website is not only organic, it's created from repurposed wood that would otherwise go to waste. These cozy coasters are sliced from storm-fallen birch trees in Anderson's home area, New Brunswick. Anderson shares the same love for green design as Holistic Spaces, and the Erthe Line is full of simple, warming items for desks, walls and tables in your space. "Our philosophy is to return to nature to make our homes sustainable, functional and naturally appealing, thereby consuming less and connecting with our surroundings." Most of my readers know about the importance of locating your desk in the commanding position. If that's not possible, a lovely tabletop mirror such as this one is perfect to place you back in command. I love the warm earthy color of the brass with the coolness of the clear mirror. The Michele Varian shop is one of my favorite stores in Soho. The recipient can use the Mandala Matchmaker to select the perfect mandala for them based on their numerology, intention or intuition. With these gift cards your loved ones can choose for the mandala that they love. I interviewed Barbara Jacques from Jacq's Organics earlier this year (read it here! ), and I just love some of the products from her all-natural, organic beauty and home line. These candles, La Lune and Le Soleil are made with fewer than 5 ingredients each, 100% soy wax and come in recyclable glass jars. The candles represent balance in the form of the sun and the moon ("Le Soleil" and "La Luna" in French, respectively) and go hand in hand with the feng shui principles of yin and yang energy. Le Soleil includes notes of citrus, making it the perfect scent to provide an energetic boost or to start off your day, and La Luna was created to help you wind down, relax and welcome the yin energy of the moon. 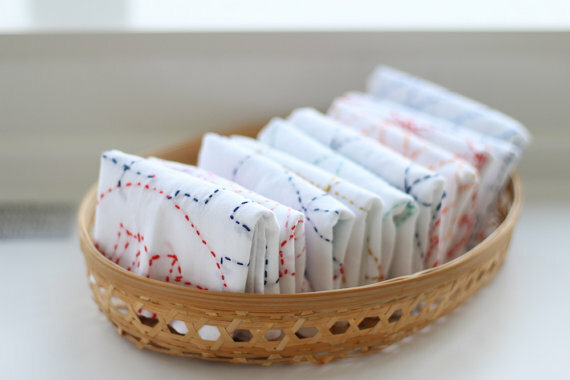 Last year I knit dozens of these vintage looking dishtowels from a pattern available from Purl Soho. Whether you're on a budget or love to craft, these lovely handmade items are wonderful gifts. The stitching is easy enough for beginners, and giving never feels better than when it's made with love, so give it a try! Just one more thing from my store! The Lunar New Year is fast approaching, and Holistic Spaces now has customized kits to embrace the new year in style. The upcoming year is the Year of the Monkey, so each kit includes a snake charm for good luck and prosperity. The snake is the best friend of the monkey, so keeping one nearby is good feng shui! Each kit also includes a Nine Star Ki aromastick for support based on your personal astrology and Holistic Spaces very own Happy Room Mist, perfect for space clearing for the new year! My good friend Amy T. Won, of Treespace Studio paints wonder filled scenes. One of my favorites is the "Journey Through the Seven Seas" series. This series conjures up thoughts of a magical wonderland under and above the ocean. Images of water inspire peace, calm and fascination for me. Lucky for us, Amy has made her artwork available as beautiful cards that we can share or gift to others.